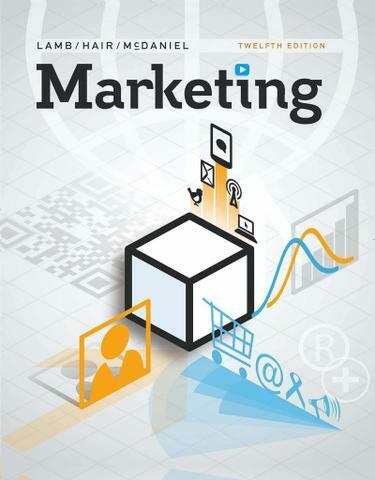 Engaging and thorough, MARKETING, 12th Edition shows students how marketing principles affect their day-to-day lives, as well as their significant influence on business decisions. Core topics include the social marketing phenomenon, entrepreneurship, C.R.M., global perspectives, and ethics, as well as in-depth discussions on key tools of the trade, such as metrics and the marketing plan. Intriguing coverage of newsworthy events clarifies the readings for students and gets them thinking about their own decisions in the consumer marketplace. Loaded with helpful learning features like detailed appendices, cases, vignettes, boxed features, and videos, MARKETING, 12th Edition gives students countless opportunities to develop and apply critical thinking skills while acquiring the marketing knowledge essential in the business world.